I’m going to start a monthly/weekly/whenever book recommendation post. So here’s the first one. 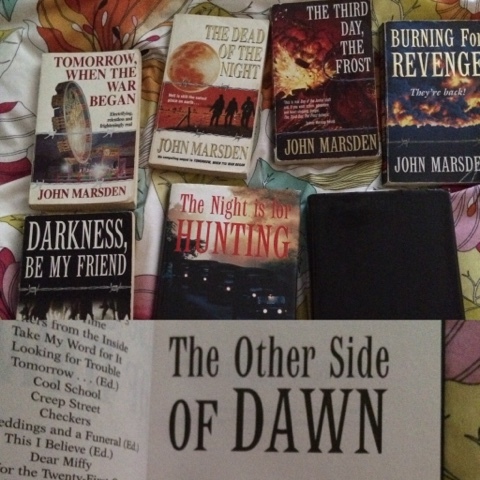 Only the best YA series ever written, by Australian author, John Marsden. The Tomorrow Series (seven books) is about a group of teenagers who go camping one holidays and return to find that they have been invaded by another country. The books pose the question of what would you do if something like this happened to you? And how would a bunch of ordinary every day Aussie kids survive in a war/invasion. Told from the point of view of Ellie Linton this series is powerful and moving and asks the hard questions whilst staying true to what these teens would be going through normally with puberty and feelings and everything else. I’ve read the series so many times I’m surprised I don’t know it off by heart. Definitely one I recommend, wholeheartedly.